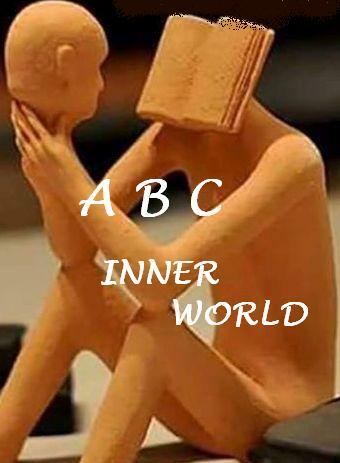 ABC of Inner World – Realization that surpasses understanding! We ideate and conceptualize; we learn and grow intellectually. We conceptualize to make things better understandable. Ideas and concepts are two much loved things our mind feeds on. New thoughts enter the mind as ideas. Ideas are conceived as flashes of insight. They take origin as insight. These are the long lost knowledge of mankind which is reminded to us occasionally. These are the internal visualization of the mind. And why not, ‘idea’means to see internally (in Greek). Idea is a very fragile little thing. It comes to you “without willing”, “without forewarning” -means you cannot create ideas voluntarily or with effort of intellect and brain. It has a very little life of its own. It occurs as a flash in the mind, remains ambiguous and cryptic unless intellectualized and given a worldly language. It won’t stay forever with you unless you solidify it with the ‘clay’ of concept. And what are these concepts? These are the frameworks of the things known already. Since childhood we have been taught to create and nurture concepts in the mind. We intellectualize by putting our ideas into the known conceptual frames. We weigh any new idea by our previously scripted concepts. Should we say for now that we already have a ‘preferred position’ for understanding new (idea)? Our concepts have given us the basic argumentative position as our premise. We call them as our standing principals and we have collected them since very beginning of all learning or as a basis of all reasoning we were bestowed with. All our reactions and reasons, our inferences and conclusions are build on that basis! So bad luck indeed, new (idea) has mixed with the old (concepts) and lost its novelty. We have not grown an inch more, maybe we have found a new explanation, a new theory, or a new argument. Our concepts create all our pre-judgments and prejudices even. They cause our intellect to grow in our own sweet way. As we become more intellectual, more and more concepts creeps in, more and more we become a subject position and more and more we lose position as a conscious subject. That’s right we can argue well but to open heartedly embrace an alternative idea or different opinion is difficult. We used to be one who were open to new ideas and new information in our younger days. We were intelligent then but not intellectual. As we grew intellectual, old and dead information started thwarting the entry of the new. Our intellect started filtering the information and restricted a part which enters without known frames. We then became product of our own text written by our own hands. We do not speak now but we are spoken; spoken by the quantity of information we collect in our head. Our life becomes a scripted event. We are now the authors of this script and we ourselves put it into action in life. From now on we always have a voice in the head, voice of authors we have read, voice of thoughts that we’ve collected, voice of beliefs we’ve harbored. This voice we hold both individually and collectively as a race. We speak from this voice. How then is to speak from the silence, from our own inner centrality, from our feelings, we might have never wondered? Where has gone the novelty in our life, sometimes we ask surprisingly. But none other than us have shut the doors of life’s unique insights. Perhaps that is why new idea never renews us. We never feel the vibration while we encounter a new insight. We never feel the need to go beyond your old shriveled concepts. We have devised ready made answers to our ready made problems. Our problems are textual and answers are conceptual. Problems we talk most often are not found in the struggling world! They pertain to our “psyche” and not to “existence”. We already live a life of manipulated existence. We are well off worldly, sound mentally, reasonable philosophically but still we are not original. We are trapped in our understanding and prisoner of thoughts. We are swayed by our own persuasions before we try to persuade others. Concepts construct our intellectual boundary. This is the point from where our intellectual blindness starts. This happens when we encounter new things. We simply term new information fantastic, we may even argue over some obvious aspects of it. But we will have to admit that we cannot understand, not even comprehend. It is difficult for us to visualize new ideas with our old spectacles. We simply have cultured the habit of rearranging known intellectual themes to produce new thoughts. Concepts take roots as our unconscious beliefs. They settle down at deeper layers of the mind. They become an unconscious force compelling us to make an opinion before every happening. We pre-judge every situation or at least try to. We usually say ‘I know that; I have the idea; all things happen that way’. We not only suppose but validate every guess of ours before happening. We are happy when things happen according to our supposition. We blame nature when unexpected things come up. To escape from this we try to live a life of certainty. We fear the field of uncertainty, both in living and understanding that living. So this is the reality that we avoid. When we have already avoided ‘the truth’ in our outer life how would we ever face those uncertain truths of our inner life? Your unconscious and subconscious mind has many uncertain truths. But we never face them. We never visit them. We have tendency to live life superficially in order not to experience inner void. This simply becomes dark area of our psyche. This dark area of our inner world become darker day by day. We visit them occasionally in our dreams. That reality is fearful. For smooth sailing we create a busy life. This is life of borrowed and invented truths. All the opinion we gather about God, spirit, sin and virtues are our invented truths, they are not real. We have invented the ideas of inner world and we believe in them. Our protracted following of these ideas has invented for us certain doctrines and associated rituals and we pass the entire life carrying them in our heads.Do we ever free ourselves from invented concepts altogether? Do we ever de-conceptualize our thoughts? Non-conceptual understanding is a sort of immediate understanding. Here we don’t understand but feel the thoughts, feel the ideas as they move within. We feel the thoughts first and just wait to understand them or make a conclusion. We don’t counter the thought with another thought with argumentation or explanation. We culture a different habit of understanding thoughts without even words. This is to put our awareness to learn first before our knowledge catches reality like an eagle catches its prey. We feel it and not speak about it. A single word uttered within mind when you look at some marvelous will contaminate its excellence. This marvelous may be anything—a great thought, a great deed or wonderful words of wisdom. The reality we know or understand is not the reality out there. Our reality is the reality of our thoughts. We have kept it contained by our thoughts by the definitions and concepts. We need not define the reality in order to understand it. We simply need to experience it. This is the intuitive perception that goes into the ‘hearty brain’ bypassing the ‘intellectual heart’. This is the awakening of non-mind, the mind within mind that understands without words. There is a good difference between one’s own understanding of reality and the real reality. Non-conceptual understanding simply clarifies this. All idea here is to resist knowing. Not knowing is more better virtue than that. Life is a mystery. It is charming to those who do not know their next moment. You must equally resist intellectualizing, or understanding theoretically. You may feel the things inside. To heighten the feeling level is the indispensable quality for generating intuitive wisdom. Intuitive perception is the inner vision. Intuition is prophetic vision and is available to us only once we learn to work with transparent consciousness. The persons with cunning motives may not find it. Intuition is the perception of same consciousness working in us which collects information as knowledge. It collects and processes the information. It is the refined processing rather. The bits of information knowledgeably processed enter into the knowledge chain. The rest unsaved information still under process may be received as intuition if we allow our mind to relate that way. Whole of the city may be in danger. Only the prophet who holds intuitive perception conveys the right thing to do by the ruler or citizens at the turbulent times. Prophets of yore have left their time. They have given you the basic understanding to comprehend reality. But you cannot put all their solutions to your current situations. Now you are the prophet of your life. Now you need to culture the prophetic vision. Fire is hot is repeated thousand times by your teachers, guides and masters and it only results in concreting our concepts. Only when we come across the fire and realize it ourselves we break our concepts and move a small step toward de-conceptualization. What this idea of de-conceptualization holds to our understanding life. All this does not mean you altogether bid farewell to intellectual brain. We simply need to realize the information processing by the brain on daily basis. But the almost all the information for intuitive mind must be processed at the feeling level. We must not blunt these feelings. We must never slow down our awareness. Life’s gravest mistakes occur during laziness. There is great deal of descriptions of spirituality in our scriptures. All religious philosophies are purely conceptual. They describe rather than present before us cognitive aspects of reality. But there is intuitive side of us which we have missed due to intellectual predominance in our affairs. Consciousness cannot be described—it must be known directly without mediation of concepts. If our mind feeds more on cooked & conceptual thoughts then spirituality becomes a matter of understanding and its similar proliferation in our mind. But the same thought can be used to awaken ourselves to altogether unknown realities. An inquiry into something subtle is a journey through the dark recesses of the mind. Why one undertakes such a journey? In a journey of thoughts and journey within thoughts one is helpless to talk of a choice. A choice of beginning and continuing with the voyage or simply to be held and sit back! It is a state of progress, which only moves forward. But this progress mostly advances into two twin states with diverse consequences. Most of the thinkers regress in a cyclical path. They become victims of circularity. Here identical thoughts keep on repeating themselves causing much distress to the thinker. They keep on explaining the well explained themes. They go on proving what is already proved. But a thinker with a truly meditative poise continues with the journey. But he will be blessed to continue only if he does not harbor any preconceived notion. Only if one leaves guiding crutches one expects to gain an unexpected insight. Contemplation of such kind occurs in a heightened state of awareness. This is an awareness where one is calm and active both and yet never tense or hurried. This is state of the mind of somebody facing a severe competition of challenge of death. Imagine you are engaged in a combat of sword fight. As you face your opponent you are increasingly watchful. Were you to relax your vigilance even for a fraction of second you would be cut down to pieces. With ease this analogy can be related with the inner battle of thoughts. In this inner conflict you nevertheless are in a frame of warrior but here war is among the thoughts. Here the opponent is the counter thought or thought that dissociates from the original thought. By doing so the newly emerged thought tends to kill or overpower the former. You become the battle ground of thoughts, a dark arena of ignorance. Never knowing which thought should be given precedence and which one to leave behind. Means which thought should be selected for linear voyage and which one to be thrown away from the deck. The decision comes from you. The battleground of thoughts is you. Your awareness is the boat which boards the mob of warrior thoughts. Your awareness is the battleground which you will have to keep separate and detached. Most of the thinkers join with battle. They join with the thoughts; one or the opposite thought. The wakeful distress of being the battleground of thoughts is now replaced by delight or sorrow of the thoughts. This sort of pleasure or distress does not open new vistas. It comes and goes on cyclically with the thoughts. But the concentrated awareness is the only light you have on this unlit murky path. This could be the source of distress for the thinker, for to remain in the sustained state of awareness you have to put effort to it. If you are not pursuing the aesthetic aspect of your journey; if you are not after literary joy of your novel thoughts then you can open up an incorporeal landscape ahead and put yourselves on a linear spiritual journey. A sort of journey which each of us seriously chooses to undertake but often holds himself back before taking the final plunge. But we would have to take the risk of entering into the perils of unknown. This final decision is not the produce of your logical mind. Neither this is the act of will nor that of wisdom. It is the moment where all rationality of the intellect is to be kept away. It is the end of everything known. Entry into the unknown field comes instantaneously. It is the end, end of both acceptance and denial. While we talk about this transition from the rational worldly mold to the higher thoughtless mold one needs not to stick to the elaborations read in the past from thoughtful elaborators. Perhaps nobody is able to delve on much on this point. Any description of it will come out from rational mind, from thoughts and from memory. These things exist in the framework of time. So why should one articulate the things which are timeless? How can end of thoughts be described with the activity of thoughts? In this ending there is beginning of a journey too subtle to be described? If ever this happens one may not even hesitate to call it the next genesis [birth]. This is contact with the ultimate reality is only to be perceived; only to be experienced. This is not to be conceptualized or described within the framework of worldly knowledge. You cannot taste sweet by uttering and understanding the word ‘sweet’. Neither can you describe sweetness in a way that others can experience similar sweetness. For the correct perception you will have to eat something sweet. This is what our real existence is. Ever free and liberated! Liberated from tension of descriptions, liberated from the world of languages. This ever free existence acts from an all empty consciousness and free from one which is heavily laden with old, stale, cooked and crooked knowledge. Forever free from poking ego which presses consciousness with the restricted choices. This is eclosion (release from shell). This is the birth of a flower from the fused carpel. This is the birth of a winged butterfly from lethargic pupa. This is the birth from restrictions of the egg shell that has fused wings (of the bird) to his lean chest. In this existence one never stops living and interacting with the world and also not unresponsive to the painful consequences of such existence but one is free. One is free to choose and free to accept the tension and responsibility of his choices. 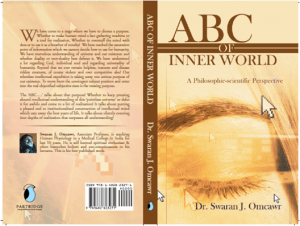 Book “ABC of Inner world” contains my thoughts on “metaphysics”. Now if someone says “What is this metaphysics” and opens dictionary and finds the meaning– “something which is beyond physics- the physical part of life” or somethings like that. great deal of difference here. What we study is actually something we do not observe at all. We do not “observe our own inner world” which is very near to us. We merely understand it by reading books. If you read this book you will find that I have based my thoughts on “observance” of inner world and not on study. Because I am not philosopher by training. I am a medical doctor. Same way as human soul the soul of universe is not something hidden, hidden behind matter or beyond matter! The planets and galaxies does not hide but reveal their soul; the universal soul? It is revealed by their function, by the arrangement, by their de-arrangement and rearrangement. By the cycle of birth and death of stars and galaxies! Yes physical laws do exist both in live and non live forms. Universal soul is the eternal presence of ‘essence of universe’ in all heavenly bodies. In human body this eternal presence manifest as awareness, awareness of matter. In universe this eternal presence manifest as awareness of the universe. Our miniscule material body, miniscule intelligence, miniscule awareness is reminder to us that it is universe that is ‘aware and intelligent’. We on earth cannot feel the speed with which the earth moves. Similarly “awareness and intelligence of universe is incomprehensible to us. This soul of the universe is the universal soul existing as the base reality of universe. All the attributes of appearance of the universe are not hiding its soul; they are revealing it. The outward appearance and functional presence of universe reveals the eternal and infinite essence of the universe. The real nature of universe, its essence or its soul does not exist as a separate entity, as an intervening third party or which sometimes play its part as God or sometimes it is said as hidden reality existing away and beyond its body of planets and stars, atoms and molecules. There must not be some God existing as separate entity from rest of universe, some anthropomorphic God, some chemical or sub-atomic God as we understand sometimes. Or similar human contemplation? Or some philosophically deduced God! It is all utterly absurd and inconceivable. Universe exists both as a seed and idea both as temporal and spiritual entity. As temporal we find full bloomed expanding universe when we watch galaxies and stars. Universe exist both as idea and recognition of this idea in the universe itself. Universal soul or Brham´ (Skt.-the ever expanding universe literally!) is the names of same reality, a symbolic representation by words. Before we name anything we create a totality of that item. Then we select a symbolic word best suitable to this totality. A symbolic word or name is revealed in the mind and conveys the comprehensible meaning of things we observe. A crow is a crow because it crows. Name is not the reality but it indicates reality. If you yourself crow you don’t become crow. Naming the things is for our rational comprehension of reality. Names points out towards the reality. Reality of universe is both submerged and revealed nature of nature i.e. nature of its body. God is natured in nature. God is not hidden from nature. God is not away from nature. Every spec of creation, its chemical or physical part; its atomic or sub-atomic division reveals the soul or nature of God, or the universe. All matter, the dark matter, the anti matter or whatever comprehensible and visible to our senses or discovered so far exist as one substance. All the quanta, the waves, the particles denote the same substance. There is no independent existence of separate substance from this substance. Logically no two substances can co-exist. Behind the apparent multiplicity there is one single unity. Whole is one single whole not otherwise. This as totality is one single substance that makes nature. No other matter different from whole matter of universe exists. All individual elements are the manifestation of this same substance. Basically they are form of energy which join or bond with each other to create diverse chemical and physical manifestations. The chemical bonding in another peculiar way create biological life and life forms. This single substance pervades and invades the nature. This does not evade the nature. This single substance is both the function and reality of this substance, of the gross nature. God as nature acts from the same necessity by which it exists. It is infinite, necessary, uncaused and indivisible reality. This one single substance is infinite. No other substance which is other than this can be the cause of it. 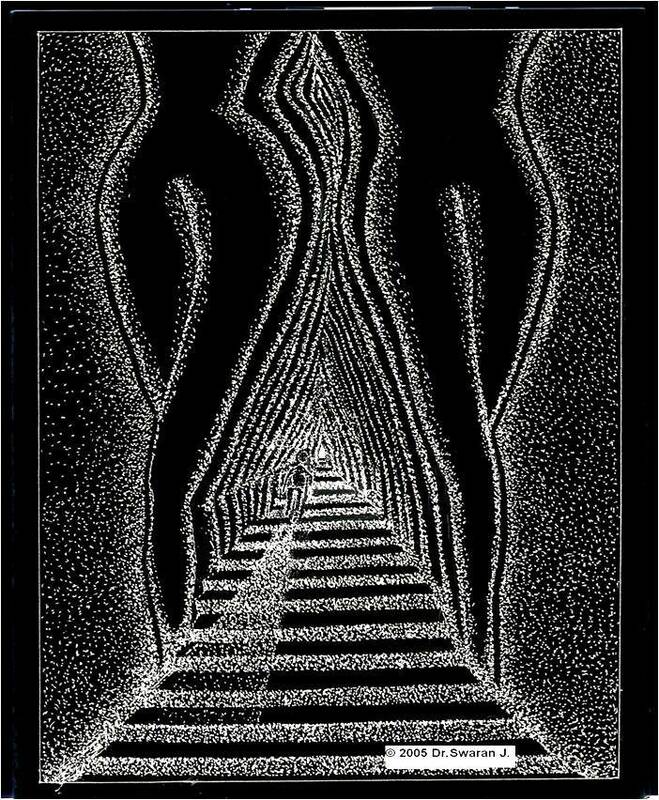 No other reality separate from its own nature can be conceived. Hence realty as we name it is Uncaused. Cause will come if another substance exists parallel to universe. Then we shall say this is cause of reality. Then what is the cause of that cause? Manifest nature is extended in its qualities. Extension is another attribute of the reality. Reality as substance is extended in its properties. Biological matter is extension of chemical and physical matter. Mind and thoughts are the extensions of the biological matter. Mind of man is the extension of the biological body. Thoughts and ideas are the extensions of mind. Intellectuality and wisdom are extensions of thoughts. They all stem from single substance which is matter in exact physical sense. Similarly man as body is extended substance of nature and man as mind is an extended substance of universal mind. Everything in extension has the same physical continuation as of the primary matter. The soul, the consciousness or spirit are the physical attributes though these things are not quantifiable by known physical methods. But this does not mean that they are imagined. Imagination is constructed by the thoughts to make understandable the themes. Imagination as an act is physical attribute of mind but something which is imagined by the thoughts but has no physical existence is not part of nature. So any idea which arises in the mind is just one mode or attribute of nature of reality. It is not mere expression of the attribute, it is the attribute. Something that exists in nature and idea of that something which exists in mind belong to same substance. Infinite series of ideas arising in human minds constitute universal mind or infinite intellect of the nature. Matter is both live and non-live. All matter exists as necessity of existence. Both lion and cow have their own necessities. Matter does not judge the matter. Does not put bars to the choices. Matter is randomly free but act strictly to the physico-chemical laws that have been evolved and still evolving. These laws are not planned or devised. These laws existence exist because there is necessity of existence of diversity. A judging God who has plans and act purposefully is not the real God or soul of nature. Nature doesn’t judge what her creatures do! God do not judge or punish his creation. God of one’s own thoughts, an imaginary one is not the real God. Seeing God as one who is to be pacified through prayers is absurd and inconceivable. As nature or God or universe has no definite cause so they have no definite end. It begins from where it ends and still not cyclic. It is astonishingly evolutionary. There are no plans or goals of nature. Nature is not necessarily pre-determined. So reality of nature cannot not pre-plan everything. Man is not end and nature has never put higher creation man as the end part of their plans. The things follow one another without any conceivable predestined end or predetermined origin. This one single attribute determines freedom of man on earth. All revealed religions reveal mind of universe. They merely unmask the universal laws of existence. A creation such as man is bound to limit his vision to see the exact reality of universal laws. All beliefs in conscience, morality, love, faith in God etc. are not mere concepts created by man. They are revealed laws of nature. 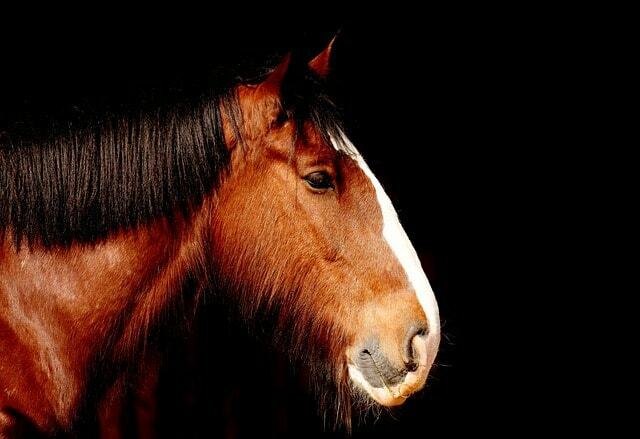 They are created for peaceful co-existence and avoid undue confrontation. Nature by its own exists in same two modes. It creates balance in the form of peaceful co-existence for creation but still everything can be destroyed in seconds for the purpose of random recreation. It is all random. To escape from this chance randomness we create well structured psychological themes like justice, honesty and impartiality. These are simply invented to create a life of order to have sufficient mental freedom to look for other intelligent aspects of nature. These psychological principles do not exist in the physical world and only cause a small negligible change of physical world. Exact physical world exists independently of psychology of the men. It would be a mistake to claim that reality exclusively is an observable behavior…Let’s see how? Nature of something can be said as its essence. Matter exists as external appearance and internal essence. Essence of the matter is age old philosophical question. Essence is the nature of substance. An acidic compound is a substance, being acidic is its essence. An honest man is a substance and honesty is his essence. A savage population is a substance and savagery is its essence. Physical body is a substance and spirit or soul is its essence. Is it the same essence which emanates from the most of material substances as fragrance or as smell? In the past we used to smell an acidic or alkaline compound and somehow would correctly identify it as alcohol, honey or milk. Or does this word ‘essence’ mean an abstract representation? As you see in a full bloomed flower. You call its fragrance the essence. Flower is a life form, a living substance, having innate intelligence. 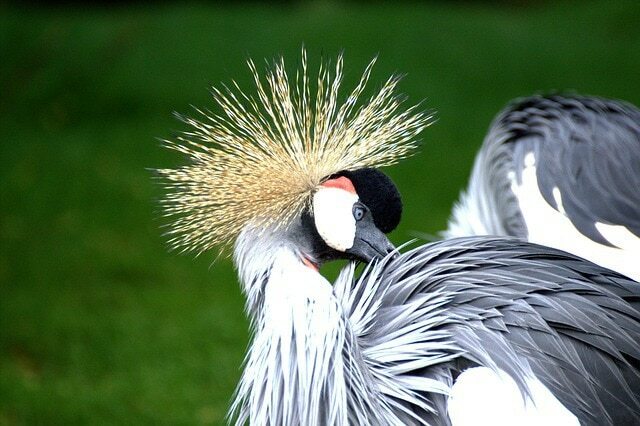 It directs its chemicals not only to convey its presece to others but also to convey its reproductive maturity. By emanating its essence it conveys its presence even in the dark. By emanating essence it creates physical and emotional or better say sensational field around. Isn’t the flower which blooms to spread its essence in the environment existed earlier than its essence? Isn’t the seed which existed even earlier with a motive to procreate new plant? Isn’t the consciousness or say life in the seed which transmigrated (genetically) from earlier plant existed even earlier in the seed? Did it exist even earlier in the long series of previous plants? Does the existence follow or precede the essence? Who came first the matter i.e. existence or consciousness. Which is the essence of whom? Or better say who has planted these long series of plants which of course get diversified in the long run? Is the soul progenitor of matter or its produce? Did the honesty or savagery (previous example) came into existence after a set of human population stayed put and existed together in a competitive mode? Or was this honesty or savagery primarily the choice of consciousness to exist that way? Life compulsorily arises in the matter when its atoms and molecules organize biologically in a particular way! So can we say- plant itself has planted the plant next! None other than matter has created consciousness! Does the creation thus created hides or reveals its essence? Does our soul remain hidden behind the veil of physical body? Does this body which is matter is merely a covering which hides its real nature, its soul, its essence? Something beyond the comprehension of day to day activity of our senses! Is the essence extrasensory? Does it lie beyond the ordinary perception or thinking? Is it hidden from most sophisticated physical gadgets even? Does it need an extraordinary ability of mind to sense or to decipher or to visualize or simply understand it? But this may be entirely erroneous effort of us to give such mysterious attributes to the soul. Does the essence of flower remain hidden? Does the honesty or savagery of men remain hidden? You can perceive the next body by direct seeing, touching or tasting. A blind person feels the presence of another nearby without actually touching. Both blind and hearing impaired person also feels the presence of others without touching. You know there around you is an environment, the space and the bodies! This is me and there are so many other bodies around me living and non living combined.. Even while you are lying with eyes closed you know your limbs. You know your heart. You know your brain. When they ache you know them. You know body’s normal and abnormal functions. But what about its essence! What about its soul! What is the real nature of the soul? Can you see or feel it in the same manner as you see or feel the body? Is soul another function of the body? Is soul the presence of you while you don’t exactly visualize your physical body? Same can be said of other bodies. The real essence of existence is the presence in totality. The existence as a whole! This all does not imply only abstract existence, understandable by intellectual themes. It is not mere meaning of existence, all hows and whys of the presence. It is existence by creating sensation and feeling. We exist beyond the comprehension or knowledge of human intellect. We exist in nature. We exist and convey our existence to others similarly existing like us. We spread our essence. If essence of the body is soul, does this essence emanate from the gross body or does the gross body is guard or convey-er of the inner essence? The real essence of us is the wholeness of our existence. Spirit of dead person is called the subtle body. But how much of it is subtle? Is it quantifiable? Exists as matter or as non-matter? Was it the part of physical body! Anything that exists in nature is matter; anything that exists in our thoughts is non-matter. Non-matter is just imagination a movement of chemicals to which we give meaning. If soul or spirit is not thought it must have existence in the body however subtle or sub-atomic it may be. It must be matter in strict scientific sense. Otherwise it is merely the mental image of the body or bodies known to us. 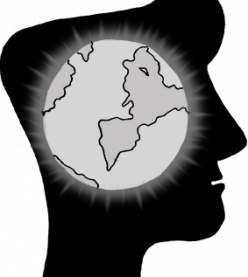 People perceive these images in their mind and keep on perceiving even after they leave physically. Why people only perceive those who are known to them. When they are near they perceive them as objects and when they are not near they feel their presence in their thoughts, in their imagination. They may even visualize them as image. Word imagination has the same root as the image. But this mental images or imaginations are phenomenon of the mind. We may be wrongly attributing these images to some super-natural powers. We cannot give such attributes to soul. Nature of the body is revealed through its function, automation. Through its thoughts and ideas, behavior, actions, sensations, feelings the body is revealed. All the attributes of appearance and functions of the body are in reality the essence of body? A life like statue of a person merely reveals the essence of sand or stone of which it is made. Otherwise it merely feeds ones imagination and we recognize because of our knowledge about that person. The revealed nature or essence or soul of the body is in the wholeness of its existence? It is like the sense of presence of current in an electric wire. There is sensation of presence of electricity in the live wire. The same sensation is absent in the non-live wire. Soul is the eternal presence of your body. It is the presence of awareness in self & others, both internal and external. Is this presence different in every creature? Does my soul is different from that of yours? Soul is not individual or personal. It is the soul of the whole body of organisms. One organism may die. Its organizing molecules lose integration. It becomes part of chemical organic matter. But the bigger body of organisms is still there. When you see a settlement of ants you see the whole colony not individual ants. You don’t name individual ants. When you see a single bacterium under microscope you actually visualize its specie. The whole colony of this specie has same name. You only select one to study its features. Life is the presence of internal awareness in all organisms. does it lay bare the presence of soul in whole body organism. So it is not the question of one soul present in individual body. It is the soul of humanity in all humans or soul of creation in all creation or soul of universe in whole of universe. When you individualize it is the same soul manifesting. This soul gets individualized but is not personalized. In a group this individuation fades away. When an individual creation dies away it dies fully, it does not leave behind soul. Soul is not personal. Personal elements in us are ego and mind which are born with body and die with it. 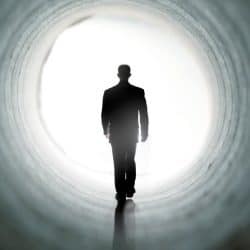 There is no universal abode of departed souls. This single fact if understood and realized properly decides our complete liberation after death. Soul is the life in the matter. When an individual creation dies away it dies fully. It leaves behind disarranged matter; it does not leave behind soul. All that was individual in us is dead- our body, personality ego which was our individual soul. It simply means we stop short of life individually present in us. But at the same time life or say soul is present in other creations. Soul is seed of life. This seed of life as soul of life has started living in many like any plant animal or human being. In single bacterium it manifests as individual soul but it is not personal soul of that bacterium! It is in all. Same is true of other creation. Soul is not personal. The soul is not one’s personalized possession. Individual elements in us are mind or ego. They are personalized and worldly. They separate one from the rest of world. These elements came into existence after the original consciousness (soul) reflected over itself after birth and they are born in the world. After birth child is exposed to multiple relations with the world. It react with outer and creates his individual feelings. This whole set of his individual reactions make his individual mind. This makes his personality. This makes his ego. We feel individuation because of the presence of this mind or ego in us. Soul is not individual, soul is not personal. Yes we tend to live after death. It is only by way of producing progeny or offspring. Nature from its very inception was harsh to the living forms. So the life forms chose that mode of survival. There is genetic continuity of life and organism tends to live after death as the offspring. This is discussed in other pages of this book. The soul is the reality, the real nature of the body. Like essence of a flower it emanates through its sensation. It is revealed from the way the body exhibits itself; the way body presents itself to others. The way the body creates whole physical, emotional or sensational field around itself. The soul is the reality, is the real nature of the body. It is not something existing as philosophical thought, understood by intellectual part of brain. It is not the deduction or logic. It is not the understanding. It is real and perceptible! It is the awareness. Revealed to you through fine or still finer perception! Soul is revealed to all the creatures even to those who may or may not have intellectual functions. Swaran on Are Concepts Necessary? Parkas 's bagga on Are Concepts Necessary?